Author: David H. Reiley Jr.
HN readers, Happy New Year! 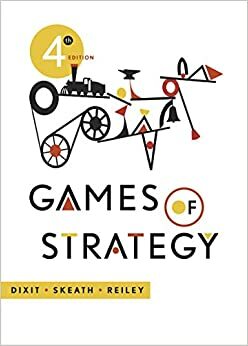 I finished a first read of "Games of Strategy" (4th ed: https://www.amazon.com/Games-Strategy-Fourth-Avinash-Dixit/dp/0393124444) and found the latter chapters on uncertainty, voting strategy & auction design to be particularly intriguing. Can anybody recommend an online resource for further reading?